From the title you’ll surely be thinking of something that is most irritating and demands lots of patience ‘the job hunt’, just like any fresh graduate you must have this strong desire to get a job just like a chocolate bar for which you don’t have to put on much efforts but unfortunately very few lucky fellows get the job like this. Just after the studies a new phase of life starts in which you have to search out jobs, drop your CVs, showing yourself very calm and nice in an interview even though you are hating the devilish smile of person who is taking your interview and many other such activities. 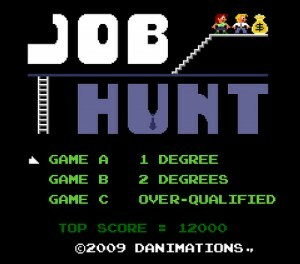 Getting tired of your job hunt and still jobless? Be relaxed! Nothing is impossible in this world and may be your way of finding the job is acting as a hurdle in the way of your job. The most common way for job hunt nowadays is the online searching but it also requires some standard set of rules which you should follow if you want to be successful. You’ll find jobs on thousands of website but be careful! The spammers can also trick you by offering a very exciting job with a good salary. In order to keep yourself protected against those internet robbers try to stick to the authenticated sites and don’t respond to various ads of jobs that pops up many times when you open some website. Online professional networking and social networking can also prove to be quite fruitful for the job hunt because your interaction with different professionals will let you know about the latest trends and also many latest opening of jobs in your area. The more you’ll get social with the professionals, the greater will be the chances that you’ll get a good job very soon. Always setup the email alerts for the jobs with the sites you have registered because this will let you know about each recent job available and you won’t miss a chance of getting any good job according to your skills. Another important thing that will leave your impression in front of others is the cover letter, be very careful while writing the cover letter because all your talent and skills will itself come out of your words that you will state in that cover letter. The cover letter can become potentially very costly if you don’t care of some very important things in it like spelling and grammar. If you are doing some job and still want to change that job because of any reason then searching for an online job from your office’s computer is really not a good idea because your employer can check your daily activities and if they’ll come to know that you are looking for a new job then this thing could be risky for your current job. While searching for the jobs on some particular site, don’t stick your search to the latest posted jobs because this way can make you miss the previously posted jobs for which you can have greater chance of getting hired. Thus a little effort for the online job hunt will make you get the one desirable for you, don’t forget this phrase “try, try again and then you’ll gain” ever in your life because this is not just a sentence made from some words, it is an attitude that can bring the glory of success in your life. How To Clean your Jewelry At Home Effectively and Conveniently?